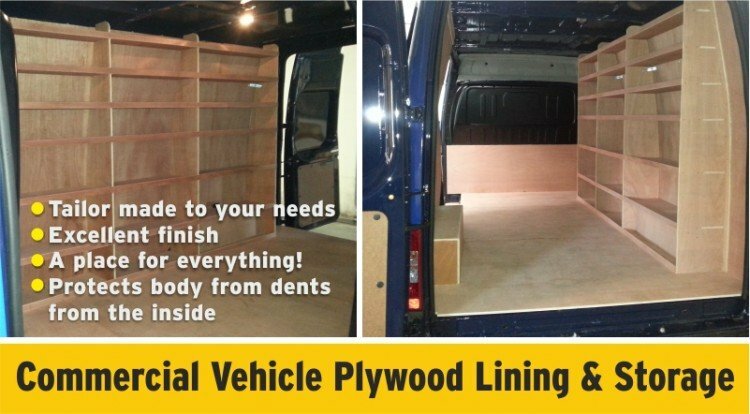 Now you can have your van professionally ply lined at Spectrum Signs! Your commercial vehicles represent a big investment for your business, therefore it’s worth looking after them. Ply-lining the interior means that is protected… no scratches or unsightly dents made from the inside. Not only is your van protected, but it’s resale value is too! And of course… add our fabulous advertising graphics to the outside, and you have a sleek company vehicle that both advertises and works efficiently! !